Please walk-in to TSO McKinney with red eyes, pink eye, or scratched eyes for immediate attention in McKinney, TX. Our Mckinney office provides total eye care for the whole family. 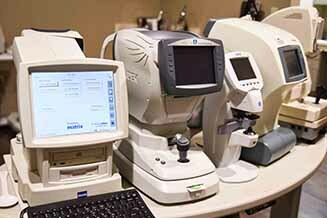 We carry top of the line technology to ensure your healthy vision. If you ask Dr. Jonathan Sher what he loves most about Optometry, the answer might be a surprise. He enjoys the science and the chance to use high tech equipment on the job, but it’s the patients that make him excited to come to work. Love TSO!! All of the staff members are friendly and knowledgeable. Sheldon does a great job in finding the right frames to fit your face! I have been coming to Dr. Sher for Years and everytime i come it becomes a better place to have my eyes checked! The office is state of the art and has a great selection of Frames! The entire office staff was friendly and helpful. My daughters and I have been patients of Dr. Sher for years! He and his staff are excellent. I can’t even think about going anywhere else. Eye health is too important to go to just “anyone”! I have been a patient for 14 years now, and have never been disappointed, despite getting lost going to the new location haha! The Dr. Is very kind and humorous, and will genuinely listen to your issues. 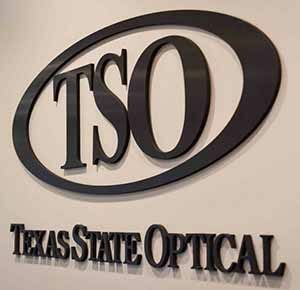 TSO was kind enough to get me my glasses same day. Sheldon was the optical person who assisted me in finding my new glasses and was extremely helpful! He was very kind and wonderful to work with. Will definitely be coming back for his guidance next time around. 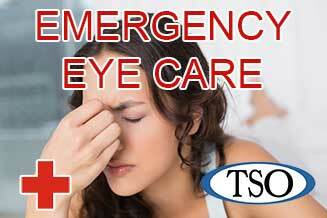 We can not say enough good things about TSO McKinney, it is by far the best eye care place in the area. Starting with Dr. Sher so professional yet with great sense of humor (hard to find now days). The whole team making everyone feel welcome from the start; Tessa, Mari, Kim and Brenda so friendly and efficient. I specially thank Jennifer who worked my glasses fast but definitely to my satisfaction, yes, she is that good!. Last but not least, Sheldon, the star of customer service, did not matter what our requests were he met all of them above and beyond. Thank you very much TSO McKinney, it has been an excellent experience. Link and Lorena. “Everyone should have an annual eye exam. People feel like if they’re seeing okay they don’t need to see the eye doctor. The problem is that there are conditions that affect the eye that don’t affect the vision until it’s almost too late,” says Dr. Sher. 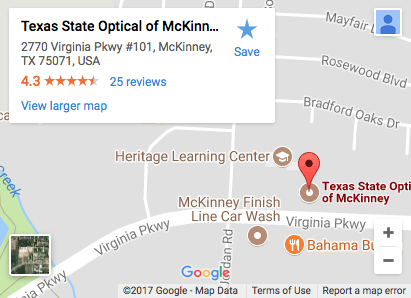 Our Mckinney eye clinic is truly a practice for the entire family and range of eye care needs, and Dr. Sher takes these needs seriously. From working with children who need their first pair of glasses to diagnosing and treating glaucoma, he is experienced and prepared to deal with issues from a basic vision exam all the way to serious diseases of the eye. 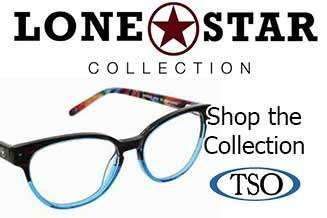 To make the Mckinney eye care experience as simple for patients as possible, TSO offers an onsite surface lab so that eye wear is made to Dr. Sher’s quality standards. Dr. Sher has also developed a specialty practice crafting prescription eye wear for hunters and competitive shooters. A competitive shooter himself, Dr. Sher understands and can meet their specific needs.